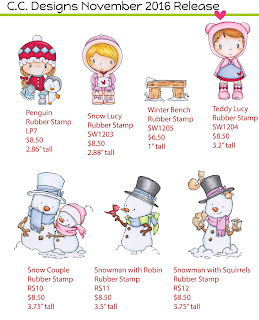 Today is RELEASE DAY for the new NOVEMBER Stamps at C.C. Designs. 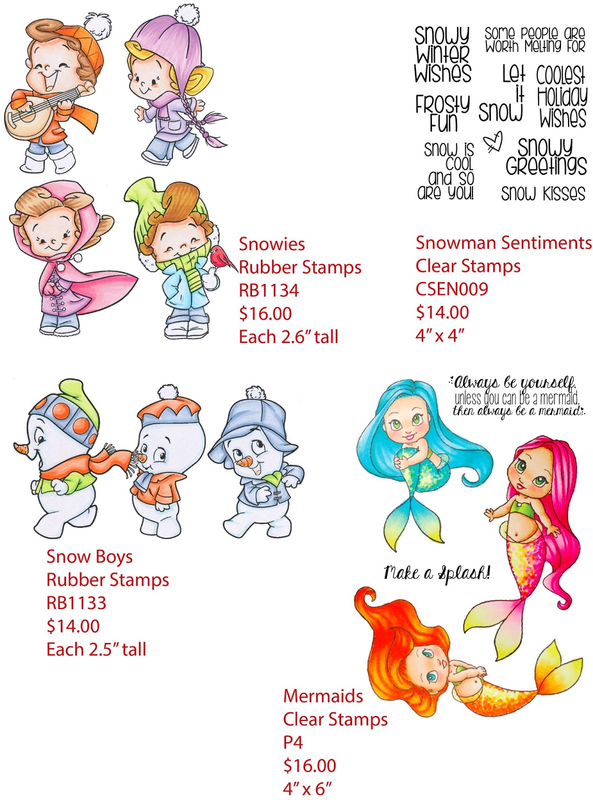 As you have seen from our Preview Days, these new stamps revolve around those chilly, wintry days....except for those last minute mermaids that made their way into this release! 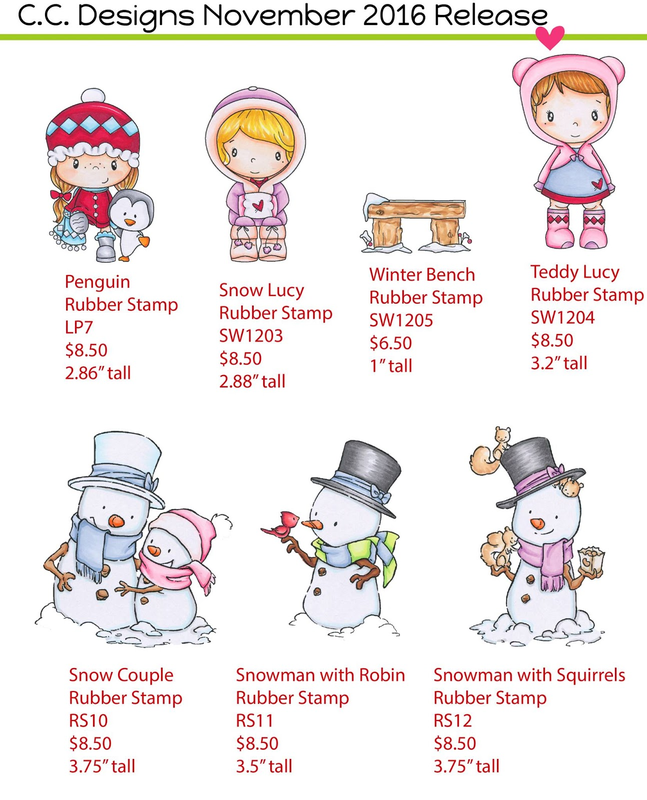 And, don't forget about the 12 new DOVEART stamps that were released at the end of October. 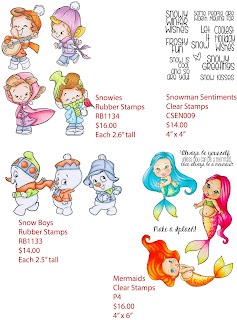 You have a lot of amazing choices this month for your stamping needs. For my blog hop project I made a card featuring one of the images from Snowies rubber stamp set. This little boy is having so much fun. hehe ... I cut out the image using Squares #1. Sentiment "Belive in the magic of the season" is from Holly Jolly sentiments. I can't stop using these. I cut it out with one of the dies from Layering tags and added a bow made with Make a card #10 Christmas die. I added a few snowflakes and that's it. *This Blog Hop will end on Sunday, NOVEMBER 6th at NOON, 12pm EST. Winners will be announced the following week. Don't forget to also comment on each CCD PREVIEW DAY Post for a chance at winning a $15 CCD Store Gift Certificate, and answer the Facebook question for a chance at a free stamp. gorgeous work and love his outfit ! What a darling card. Love this little guy playing a guitar, is it a guitar ?? Love it and your coloring is fantastic. Awesome textures and coloring! Love the sweet design and your pretty details! Your colouring never ceases to amaze me. This is gorgeous. Wow! This little feller is super cute. I love it. Wow fabulous job coloring! this card is too cute! He's adorable!! Always enjoy your coloring with the distress inks! Wonderful layers and texture and the most awesome coloring ever! Seriously AWESOME coloring. Such fun! Love the texture! Love how you colored him! Lovely card & those gorgeous coloring too!